In search of ways in which persons become involved in complex human cultural practices that imply bodily commitment to potential harm (such as fire-dancing), the cultural-semiotic phenomenon of opportunity has been discovered. The everyday meaning of opportunity is very diverse. We talk about “taking” or “missing” an opportunity, “having” or “not having” an opportunity, an opportunity “available but not used,” “creating an opportunity” for oneself or for others, “being confronted with” opportunity, etc. As an organizational sign of human experience, opportunity guides the move from present to future in the human life course. The dialogicality of the Self negotiating the meaning of opportunity is the key for understanding human development. Depending on the meaning-making of the signs available, the intentional individual could decide to act or not act on in a specific context in irreversible time, thus having the potential to open up for new experiences. This chapter introduces the concept of opportunity and develops it further as a theoretical frame, to be expanded and enriched. The preparation and presentation of this chapter is made possible by the Niels Bohr Professorship Center for Cultural Psychology and with the kind support and contribution of Jaan Valsiner and Vlad Glaveanu. 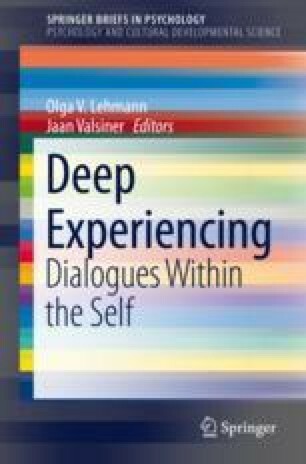 A preliminary version of this work was presented at the 9th International Conference on Dialogical Self – Lublin, September 9, 2016 at the symposium New Voices in the Dialogical Self Theory. Opportunity-a. (n.d.). In Dictionary.com. Retrieved from http://www.dictionary.com/browse/opportunity.